Some people have just one credit card, but there are other people who own several. 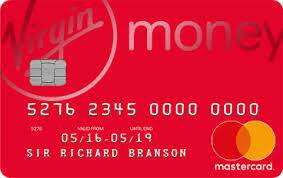 Some have the Deal Virgin Money card. It is true that credit cards can become a harrowing experience for some people who fall on hard times. Or for those who don’t know how to skillfully manage such a useful card. By understanding the fundamentals and the legalities of usage, having a credit card can open up a wonderful, carefree shopping- and travelling experience for you. There are so many different kinds of credit cards to choose from. These range from general purpose cards to dedicated petrol cards or retail cards. General purpose credit cards have no security backing them. That means the issuer issuer extends credit depending on your credit history. Secured cards come with funds that have been put into a deposit account. That is so the creditor can claim if you default. Let’s take a look at the Virgin Money Card which is available to you by applying online or calling Virgin Money on 0861 822 273. To qualify for the Virgin Money credit card you will need to earn R5 000 and more a month. Also you must be 18 years of age or older. In addition, you must be a South African resident with an ID book. And you must have a South African banking account. direct free access to Virgin Reward- and VIP programmes offering special deals on services and products which come from Virgin companies. You get a 10% discount when you buy plane tickets from Virgin Atlantic (SA) when travelling to London from South Africa or when you fly one of the USA routes. The discount applies to all cabin classes. you’ll get 10% discount on a stay at Ulusaba Private Game Reserve. This is for when you make reservations through the Ulusaba Game Reserve. you’ll get 10% discount on some selected treatment at any Camelot spas when making payments with this cool card. You get 10% discount on purchases less than R2 500 as well as a 5% discount on purchases more than R2 500 with Celestial gift experiences, who are an online store. Just visit the store at their website celestialgifts.co.za and choose from appealing gifts. Wanting to send flowers to someone special? You get 10% discount with Netflorist when you buy and pay with your Virgin Money card. As the holder of a Virgin Money credit card, Virgin Money promises to pamper you with great deals and rewards, and this is confirmed with the above-mentioned offerings. Virgin Money South Africa was established in 2006 and they offer credit cards as well as short term insurance to those looking for good value. They want to make your money work for you, offering customers excellent financial products which are simply described as a great deal.